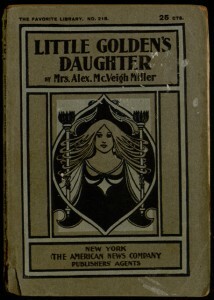 Like last week’s A Mock Idyl, this week’s eBook release is a story first found in a British periodical (in this case, Belgravia) and later reprinted as filler material in the back of the Favorite Library edition of Little Golden’s Daughter by Mrs. Alex. McVeigh Miller. Then a question arose that gave me keen anxiety for a minute or two. Ought I to ring or knock? To ring seemed timid—almost cowardly. Yet what sort of knock could I give? As a messenger from a shop I had no right to give other than that single knock which had often given me so much anguish. Coming on such an invitation such a knock was clearly out of place. And yet a double knock—at least a loud one—might seem presumptuous—seem imperative. So at last I gave a knock which I intended to be a very quiet double knock, but which, I am afraid, was a very queer and tremulous one, and in a minute or so the door was opened by a maid-servant. 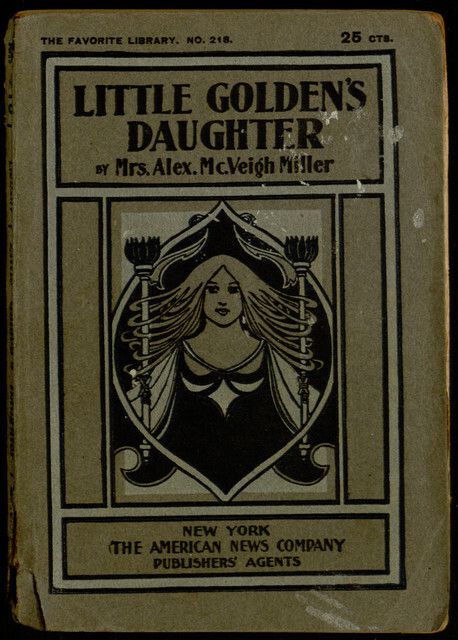 If you wish to read the entire tale (which features some twists and turns in addition to dilemmas of etiquette), you can find it available online (and downloadable in popular eBook formats) at Project Gutenberg.